On 2frugalfoodies, we look forward to another fun year of sharing recipes and food experiences. We hope to continue our trend towards more international cuisine and adventures, shopping more often at our local international market for healthy and delicious new ingredients and recipes. To balance our carbon footprint, we’ll also try and focus on local, seasonal ingredients to shift the focus of our blog throughout the year. Despite changes and tweaks, comfort food never goes out of style, nor does The Les Halles Cookbook! 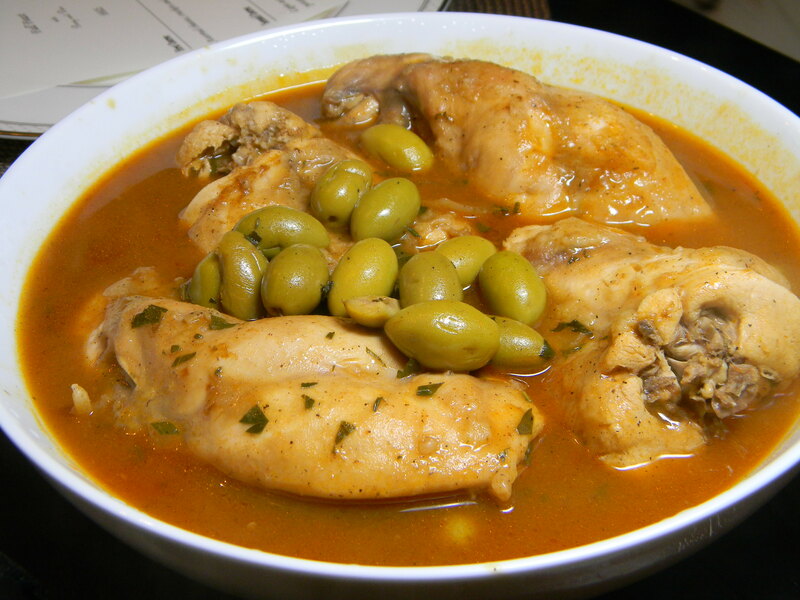 To usher in the new year, we offer an adventurous recipe from Bourdain- Rabbit with olives. It’s flavorful and warm- perfect for winter or early spring. Hope you have a great New Year! We look forward to seeing you and hearing from you soon! Thanks for your comment and encouraging others to give rabbit a try. It is a really interesting change-up from poultry, pork, or red meat- definitely worth the price to have on special occasions. Happy 2011! Sounds so delicious! Would love to know where you get fresh rabbit in the Richmond area! Happy New Year! Some people might be squeamish about cooking rabbit. It tastes similar to chicken and is an interesting change. Happy New Year to 2frugal foodies! Here’s to both of you and to 2frugalfoodies.com. We are looking forward to what’s cooking in 2011. Happy New Year!! Love you!